On Wednesday, the Government Accountability Office (GAO) released a report on food insecurity among college students, revealing that millions may be going hungry despite qualifying for the Supplemental Nutrition Assistance Program (SNAP, formerly known as food stamps). Nearly 2 million college students who are likely eligible for food stamps aren’t receiving them, according to a new report issued by the Government Accountability Office (GAO) on food insecurity in higher education. But behind that headline, there is a more nuanced, and in some ways more critical, story about who typical college students seem to be in the popular imagination—versus who they actually are. The report, released on Wednesday, was the result of an in-depth analysis of 31 different studies on campus hunger and numerous interviews with governmental officials, administrators, and students at 14 selected colleges across the country. 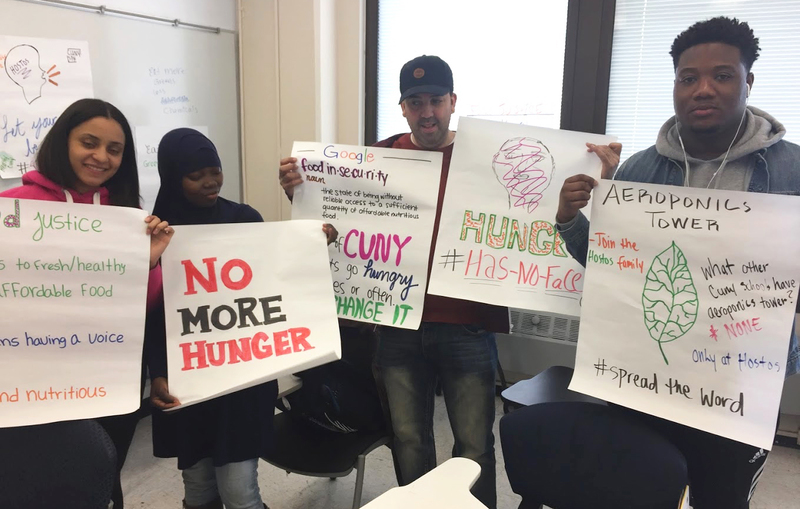 As part of its research, GAO also examined what is known about the extent of food insecurity among college students, how the 14 schools are addressing it, and the extent to which federal programs are of any help to students who are struggling to feed themselves. What it found is alarming: Millions of college students may be going hungry despite qualifying for the Supplemental Nutrition Assistance Program (SNAP, formerly known as food stamps). That finding is particularly surprising given the rash of recent evidence showing that college students are experiencing disproportionately high rates of hunger. A 2017 survey of the California public university system, for instance, found that 40 percent of its undergraduate and graduate students faced food insecurity—defined by the Department of Agriculture (USDA) as a range of experiences including reduced quality of diet and reduced food intake. The GAO report offers up several reasons for this. For one, college is way more expensive than it used to be. Over the last 30 years, the cost of attending a four-year public college in state has nearly doubled. The net price of two-year public colleges has also risen, from $6,800 to $8,000. As the gap between what school costs and what the average student can afford widens, distressing sacrifices sometimes have to be made. “I did not have much money when I started school, and immediately had to choose whether to buy food or a $200 book for class. I chose to buy the book,” one student told GAO. For many, that kind of decision is a terrible jolt. From kindergarten through high school, students from low-income families can often qualify for free or reduced-price meals. The GAO report defines “low-income” as earning a household income at or below 130 percent of the federal poverty line, which is also the income eligibility limit to qualify for SNAP (that’s currently $1,316 for a single-person). But there’s no equivalent college-level program, the GAO report points out. Kids who may have counted for years on free breakfast and lunch every day are left in the lurch when they advance to college. While the federal government is doing little to curb hunger on campuses, students and colleges are. Another reason campus food insecurity is making so much news has to do with the changing demographics of college students. “In the past, most college students were white and middle-class,” said Nicholas Freudenberg, a distinguished professor at the City University of New York (CUNY) during a discussion following the release of the GAO report. Now, “more low-income people, more Black, Latino, and Asian students” attend college than ever. The data check out: Since 1975, college attendance among low-income high school graduates has more than doubled from 31.2 to 65.4 percent, according to the National Center for Education Statistics (NCES). That’s about the rate at which high-income high school graduates were already attending college back in 1975. So a typical student body in the 1980s is no longer emblematic of college campus demographics today. The trouble is, our perception of college students as middle- and upper-class kids with parental support persists. That’s why some school officials perpetuate the misconception that college students are ineligible for SNAP, and why many believe it. To make matters worse, food stamps laws are also stuck in the past. In 1977, Congress passed a food stamp act that barred “any such person enrolled in an institution of higher education” from participating in SNAP, with limited exceptions for single parents, students with disabilities, and those attending federal or state work-study programs. But these are very particular circumstances that don’t accommodate the nuances of the college experience. Ronnette Cox, a CUNY graduate student, said she applied for SNAP three times while earning less than $12,000 a year. Yet, Cox was rejected every time, despite working for the city of New York under its college aid program. According the job’s guidelines, Cox was allowed to work only up to 17 hours a week. But in order to qualify for SNAP, college students must work at least 20 hours weekly. Cox had been missing out on food assistance because of conflicting and arbitrary work requirements beyond her control. To bridge this SNAP gap, GAO offered recommendations mostly having to do with clarifying what exactly college students need to do in order to qualify for benefits. This included making USDA’s website more easily accessible, putting rules in plain English rather than the current legalese, and encouraging state SNAP agencies to share best practices on helping students enroll. But Jan Poppendieck, a professor emeritus at CUNY said that’s not enough. “This goes beyond what GAO was willing to say, but the SNAP rules are obsolete,” said Poppendieck during the discussion. “Frankly, as a college professor, I don’t want my students working 20 hours a week,” she said, noting the burden that work requirement places on the quality of student work. While the federal government is doing little to curb hunger on campuses, students and colleges are. At my alma mater, McGill University, for example, a volunteer-run student group prepared and served vegan meals daily by donation. Food pantries are becoming a familiar sight on college campuses. And most students quickly learn how to make use of a school’s informal free food network—from club meetings over pizza to $2 samosa sales to lectures followed by wine and cheese receptions.